Casper mattresses have helped turn the mattress industry upside down by offering affordably-priced quality products that ship direct to buyers. Their commitment to innovation has helped them position themselves as one of the best mattress brands on the market. Getting to know their products better can help you better decide if a Casper mattress is right for you. Casper is a mattress company seemingly hell-bent on changing the way people shop for quality sleeping goods. They are among a growing number of mattress companies that offer direct to consumer sales at almost impossible to beat prices. They are considered by many to be among the best mattress brands on the market, and a Casper mattress has become a highly sought bedroom addition by many in recent years. While many companies offer only a mattress, Casper boasts very harmonious pairing of their sheets and pillows as well. 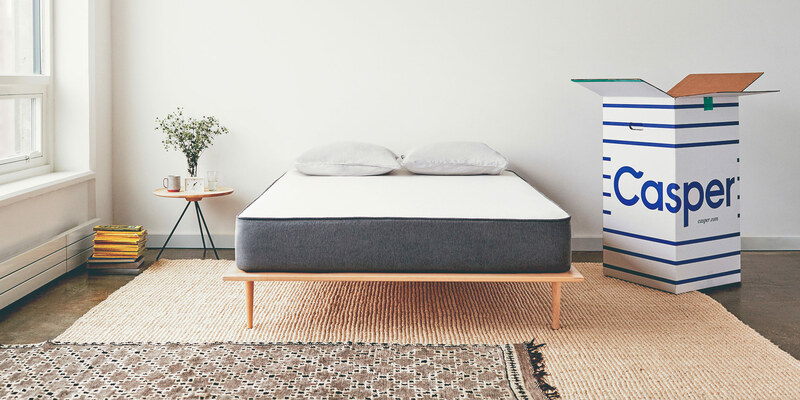 Casper has dedicated thousands of hours to researching mattresses and sleeping technology—and their hard labors have produced a truly incredible line of products. Casper mattress reviews have been singing the praises of this innovative company, and learning more about their products and innovative approaches to business may get you singing as well! South by Southwest (SXSW) is a tremendous conference/festival that takes place each year to celebrate innovations and remarkable achievements across a myriad of markets. There you’ll find in-depth speakers from fortune 500 companies and celebrities are no uncommon sight either. It’s hard to put into words just everything this conference encompasses, but it’s safe to say it garners a tremendous amount of attention each year. Among the many companies and brands fighting for that attention this year was Casper. Through the intrigue of tech startups, popular new musicians, and inspirational speakers, one might find it hard to believe that a mattress company could make much of a splash. The Casper mattress company extended their innovative and creative spirit into SXSW and people seemed to notice, in a big kind of way! The Casper Naptour trailer offers mobile sanctuary for the weary. Image from Casper. Casper teamed up with a local hotel in the Austin area to provide rooms that were decked out in their mattresses, slippers, bedding—and all at an outrageously discounted rate. This innovative marketing push was part of team effort which featured Tesla as well. 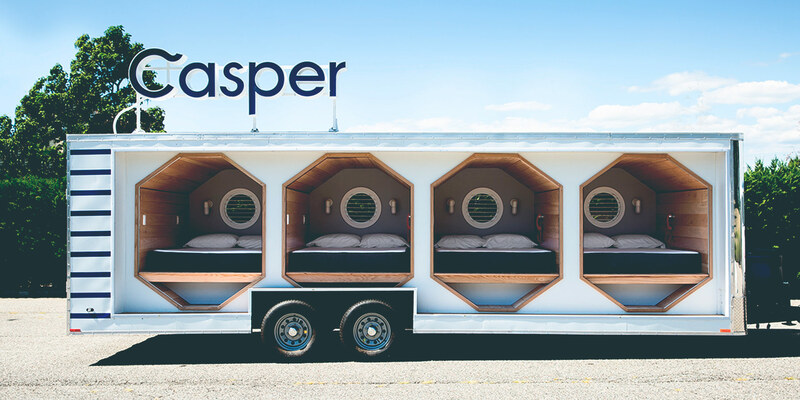 In addition, Casper sponsored what was referred to as the Nap Truck which allowed weary SXSW-goers a much needed area of refuse to recharge themselves and experience Casper products first hand. While this may all sound superfluous in regards to picking out a mattress, it’s actually very illustrative of the company. Casper knows that in order to survive in such a highly-competitive market as mattresses one has to continue to innovate. Their entire business appears to be founded on their ability to innovate better ways to provide quality mattress and bedding to buyers for much more reasonable pricing. Casper mattresses are made of several foam layers all with a distinct purpose—comfort foam, memory foam, transition foam, and support foam. Their comfort foam layer is the topmost layer and is made of a naturally contouring polyfoam. In older Casper beds, this layer used to be made of a natural latex material, but Casper has since moved to a more popular polyfoam. This layer is supported by a memory foam layer directly beneath, which provides even further contour support. Many regard memory foam as being a bit ‘sinking’ which can cause unwanted heat build up over night. By positioning their memory foam beneath the upper latex foam layer, Casper has helped ensure that much of the attractive benefits of memory foam are harnessed while reducing many potential downsides. Beneath the memory foam resides a contouring and weight-distributing layer of polyurethane foam. This material offers an excellent experience, and many newer mattresses are made entirely from this material. It provides a great amount of flexibility, yet also allows weight to be distributed fairly evenly. Last but not least, Casper offers an extra-thick bottom layer of support foam. This material is seemingly built more for performance and flexibility than comfort, which a primary purpose of supporting added weight. 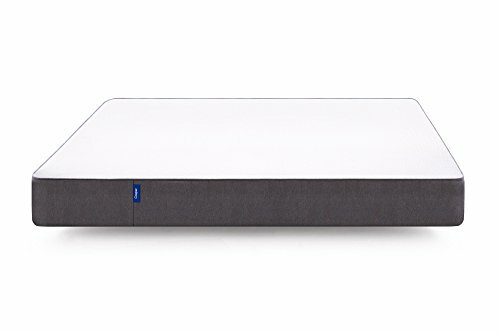 With the inclusion of such high performance and lavishly-felt layers on top, Casper is able to help take out some of the cost of their mattresses while seemingly not affecting comfort or flexibility. Casper offers truly innovative mattresses that have caused quite the uproar among many traditional mattresses stores. Their ability to deliver products directly to consumers in easily-manageable packaging has spawned a rush of buyers and avid converts from more conventional mattresses. Casper currently offers 6 distinct sizes of mattresses including Full, Twin, TwinXL, Queen, King, and the California King size. These mattresses are all backed by Casper’s 100 Night Trial—during which you are free to return your mattress for a complete refund. Easy and affordable to order, packaged conveniently, and 100 days to change your mind—it’s easy to see why so many people love Casper mattresses! Below, you’ll find a chart of all the different mattress sizes available from Casper, all of which ship in their 19″ x 19″ x 42″ tall box. Casper is a remarkable company that is continually innovating remarkable mattresses. Their unique approach to offering buyers low-cost, high-quality mattresses shipped directly to their homes has made a lot of mattress stores really mad. Gone are the days of paying an extra 30-50% just so the local guy can play middle man. Casper goes even further with their 100 night guarantee to offer buyers a nearly-unparalleled assurance. Casper’s return policy that allows local couriers to donate returns to local charities is a mark of a socially-conscious and responsible brand. Casper truly is one of the best mattress brands on the market, and if you are shopping for flexibility and comfort without draining your bank account, Casper may just be the brand for you! Casper is an innovative mattress company that offers a truly unique means for buyers to get high quality mattresses at a fraction of costs seen in stores. They offer convenient shipping directly to consumers and are available for purchase online through Casper's website, retailers like Amazon, and most recently in West Elm stores.